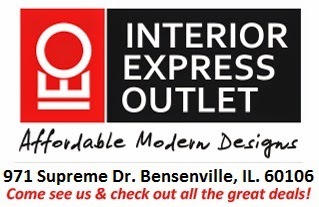 Chicago Furniture | Interior Express Outlet Blog: Columbus Day Sale! - Affordable Modern Furniture - This weekend only! Columbus Day Sale! - Affordable Modern Furniture - This weekend only! In Fourteen-Hundred-Ninety-Two, Columbus Sailed...Sale! - This weekend only! Here I am once again! But this time, I will hopefully add a bit more sunshine to your day than usual. This weekend only we are having a Columbus Day Sale! Interior Express Outlet has a lot of amazing deals, some which are featured below. I hope you guys can make it out to pay us a visit! We have many varieties of Affordable Furniture at an addition 10% off. Hurry on out this weekend to our warehouse because supplies are limited! Where to buy Chicago Furniture?! Modern Furniture that wont break the bank!